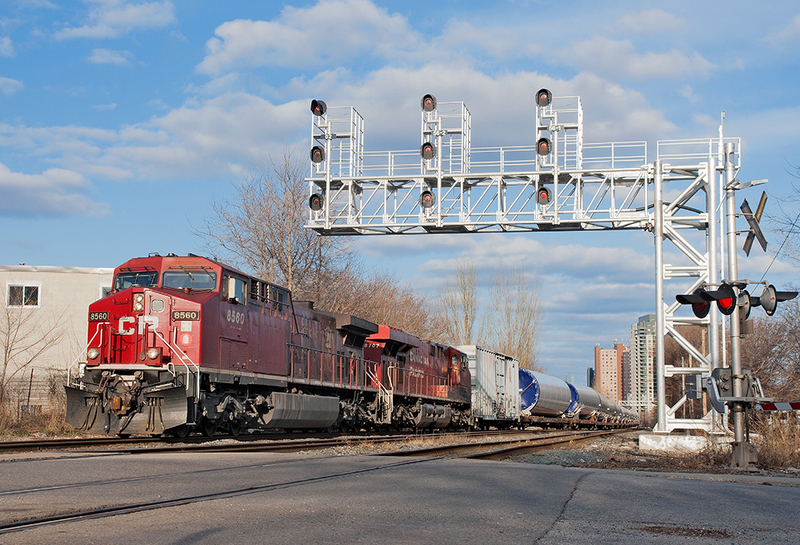 Railpictures.ca - Michael Da Costa Photo: A DIM Train off the QGRY in Trois-Rivières, Quebec to the CPR begins the northward journey onto the MacTier Sub at Osler. | Railpictures.ca – Canadian Railway Photography – photographie ferroviaire Canadienne. Copyright Notice: This image ©Michael Da Costa all rights reserved. Caption: A DIM Train off the QGRY in Trois-Rivières, Quebec to the CPR begins the northward journey onto the MacTier Sub at Osler.